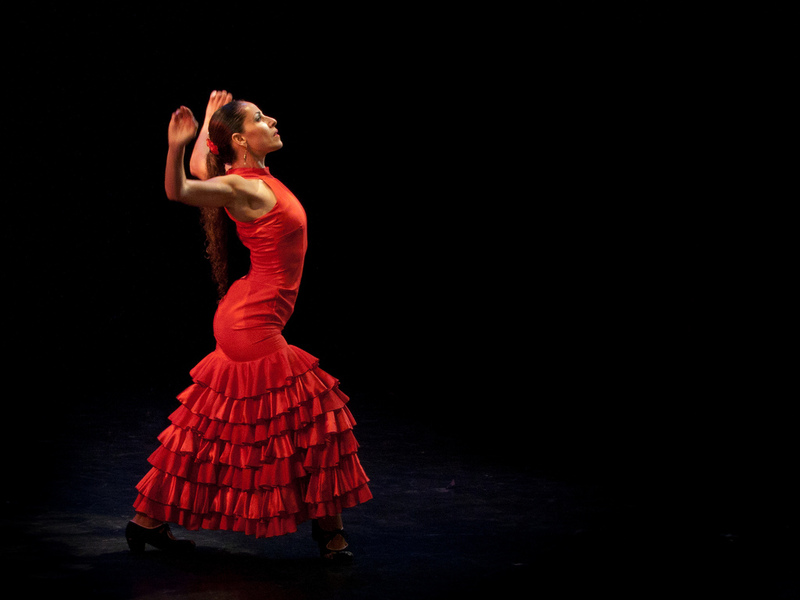 Flamenco is deeply embedded into Andalusian culture. As such, this region in southern Spain is the place to be to enjoy the great music and dance that is comprised in the art. 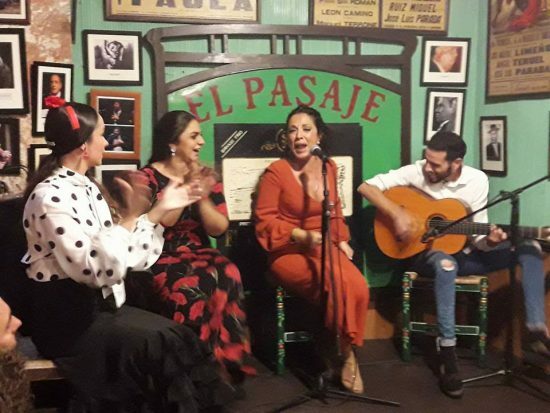 Flamenco is an incredibly passionate performance and when visiting Andalucía, taking in a show at a tablao or bar is an essential part of the experience. Some venues fuse entertainment of the show with food and drink, some are more stripped down affairs with nothing distracting you from the incredible music and dance on stage. If you’re planning a trip to sunny Spain, you certainly won’t want to miss out. So, with that in mind, we have put together this guide on where to enjoy flamenco in Andalucía. There are so many amazing options across this vast region, that no matter which part you are visiting, there will be a flamenco show waiting for you. “Casa de la Memoria is the pioneering flamenco cultural centre in Seville offering the best traditional flamenco since 1998. 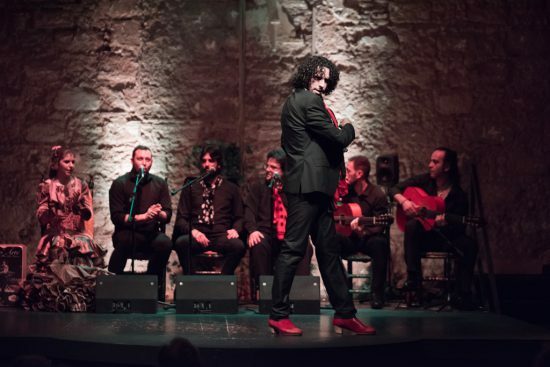 Our shows present the best current flamenco artists, awarded and recognized in the best national and international festivals of the world, and offering natural Flamenco without any concession or artifice. Our concert hall, with an intimate and lovely atmosphere, has a capacity for 90 people and offers shows every day at 19.30 and 21.00, in which, without any amplification of sound, flamenco connects immediately with the visitor. Located in the historic centre of Seville, on Calle Cuna and ten minutes from the cathedral and the Reales Alcázares, our centre, formerly part of the adjacent Palace of the Countess of Lebrija, maintains all the charm of historic Seville architecture and offers the best amenities for the visiting public. Granada is another city with a thriving flamenco scene. One spot you must try is Cueva de la Rocío, otherwise known as the Rocío Cave. Cueva de la Rocio was established in 1951 and is a part of the prestigious Los Maya flamenco dynasty. Well-known in Granada for producing some of the best flamenco artists in all of Spain, this is a wonderful spot to immerse yourself in the art’s traditions. With a friendly atmosphere, the Zambra (a style of flamenco) shows come in two parts: a representation of a ‘gypsy wedding’ and a second act with a more modern aesthetic, before ending with a rumba where all visitors can participate. Cueva de la Rocío adds great food and drink to the experience, serving typical Granada dishes that can be enjoyed in the restaurant or on the terrace in spring and summer. Another terrific location to enjoy some of the best flamenco available is Tablao La Alboreá in the marvellous city of Granada. Able to seat 60 people in their comfortable grandstand, the venue is a perfect spot to enjoy a memorable evening of flamenco. With daily performances and even private VIP areas where you will be treated to special dinners of Iberian hams and local wine, Tablao La Alboreá is an experience not to miss out on. The team at La Alboreá told us: “Located in the heart of Granada, just off the famous Plaza Nueva, the location is within walking distance from almost any point in the old city centre. 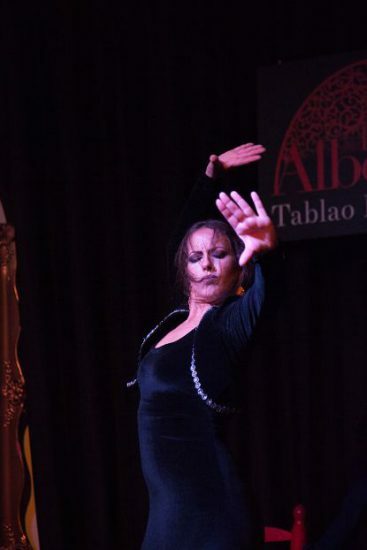 Tablao La Alboreá offers authentic flamenco shows of approximately one hour in length and features four artists, many of whom have strong roots in the city of Granada. “The best way to experience Puro Arte is to first enjoy our excellent gastronomic offerings, wine tastings, or even master classes with our artists, and then to complete the experience with our unsurpassed flamenco show performed by artists who boast the most National Flamenco Awards in their respective disciplines. 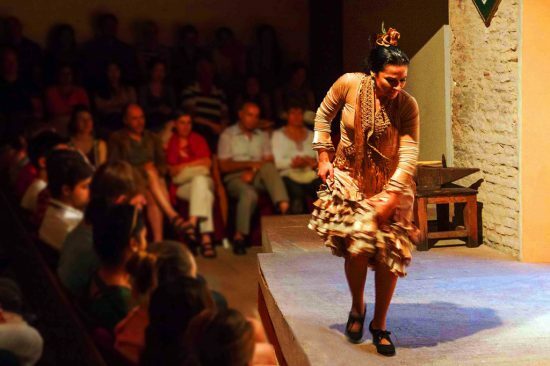 “Come and enjoy flamenco in a unique environment such as our tablao, located in an old winery (more than 200 years old), which we have turned into a beautiful flamenco theatre with professional lighting and sound. We are the first tablao to offer its clients a specific technical stage for flamenco dance with microphones below the stage tables, which allows the audience to listen to all the nuances of the dancer’s feet. In only three seasons that we have been open, we are already considered one of the best flamenco tablaos in Spain and therefore in the whole world. “El Tabanco is one of the places where flamenco was born; when the field workers returned from their hard work, they shared joy and sorrow with their companions and friends with a few glasses of wine. Tabanco El Pasaje (1925), is the oldest in Jerez and the most authentic of the few that have survived the passage of time. The closeness with the singers, bailaoras, and guitarists, make El Pasaje, although small and cute, a unique place where audiences can see great artists and the public is integrated into the show; cheering, playing palms, and living the experience of authentic and genuine flamenco de Jerez. And all paired with excellent tapas, meals of top-quality products, and the best wines of the Master Crafts Wines Sierra and other major wineries in the city. 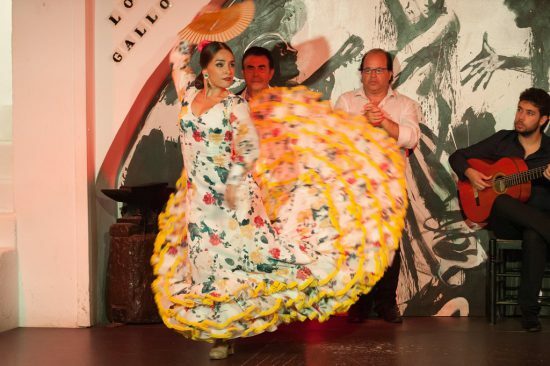 In Seville once more, another truly wonderful location to enjoy spectacular flamenco is at Tablao Flamenco Los Gallos. 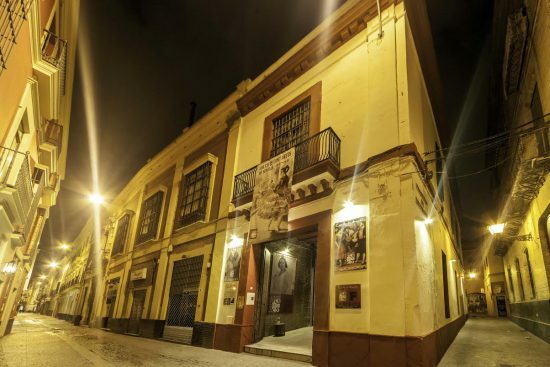 Los Gallos is one of the oldest flamenco locations in Seville, having been entertaining guests since the 60s. 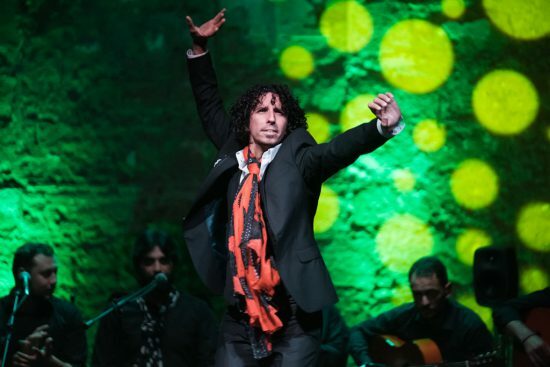 Night after night, visitors are treated to incredible shows from elite flamenco artists. Shows take place every night from 20.30 to 22.00 and catching one while you’re in town is an absolute must. With various flamenco styles available, all performed with great authenticity, each night at Los Gallos offers something different. The team at Los Gallos spoke to us in more detail about what makes this such a wonderful location to enjoy flamenco: “Founded in 1966, Los Gallos is one of Seville’s oldest Tablao, offering, night after night, a pure show of singing, dancing, and flamenco guitar thanks to the outstanding artists who represent the best performers of past and present flamenco art. In over 50 years a long list of famous artists have performed here and today it still maintains a strict dedication to pure and traditional flamenco. “What makes Los Gallos special is the magical atmosphere experienced as it represents a meeting point between artists, painters, writers, and an enthusiastic audience. In the background of the stage you can appreciate a painting by the visual artist Patricio Hidalgo, a young painter especially recognized for flamenco being the topic of his art, so here you can enjoy not only the flamenco but art in general. “The live flamenco shows do not make use of any sound amplification devices such as microphones or speakers. Instead, the excellent acoustics of the building highlight the natural and pure talent of the artists. The establishment remains family owned and operated, as guests will note in the warm welcome they receive. Entrance to the two nightly shows include a drink, and performances feature ten artists. The capacity is limited in order to offer an intimate experience and closer connection to the flamenco art. A truly traditional space to enjoy flamenco in Seville is Tablao El Arenal, which was founded in 1975 by the great dancer Triana Curro Velez. El Arenal has been home to some of the world’s very best artists and is considered to be one of the greatest flamenco locations anywhere in Spain. 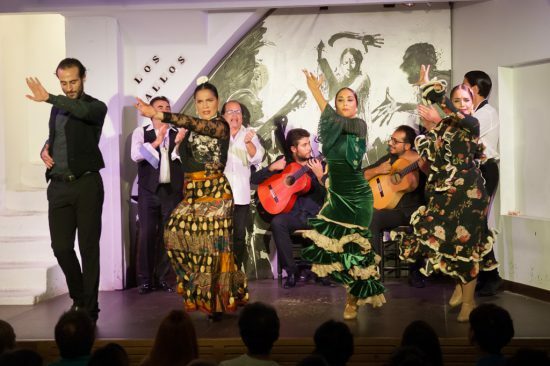 Taking its name after the neighbourhood of El Arenal, the team here have decades of experience and offer flamenco shows unlike any other in Andalucía. Along with the unique atmosphere and passionate performances, El Arenal also serves up delicious Andalusian cuisine, including a must try tapas menu – all coming together for a perfect Seville flamenco experience. A number of different ticket options are available, including a ‘show and tapas selection’ and ‘show and drink’. For a historic flamenco experience during your Andalucía holiday, Zambra María la Canastera in Granada is the place to be. Opening back in 1953, this space is where the original dancers used to live and is today one of best-preserved flamenco spaces in the country. The history of Zambra María la Canastera is displayed on its very walls and has even hosted the King and Queen of Belgium and the likes Ernest Hemingway and Ingrid Bergman. Considered a cathedral of flamenco art, this cave is an essential location to enjoy the art while in Granada with its great range of artists from Spain’s best tablaos, exciting special events, and a restaurant specialising in international, Arab and traditional Andalusian cuisine. Tickets can be purchased for a flamenco show and dinner at the restaurant via their website. As you can see, there are myriad wonderful locations to enjoy flamenco in Andalucía, and the above are just the tip of the iceberg. This glorious Spanish region has so much to offer visitors and enjoying a flamenco show or two is one vital component of any trip to the area. So, for your next Andalucía adventure, make sure to visit it one of the above and discover the virtues of this spectacular art-form.